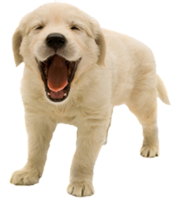 When you are looking for a veterinary care clinic you should be able to count on superior care and excellent service. We at Mission Village Animal Clinic in Omaha NE strive to bring you the best possible healthcare for your pet. We have a veterinary facility which is clean, comfortable, and efficient. Call 402-894-5550 to schedule an appointment and we will find a time that is convenient for you. Once a year, you should take your pet in for a check-up. This will include a full physical exam, updating of any needed vaccinations and other age specific recommendations to keep your pet healthy. If we have not seen your pet previously, please bring in any medical history you have when you come to our vet clinic. Please also discuss with our staff any new concerns or any new or different behaviors of your pet. In some circumstances, Dr. Soulliere or Dr. Knake will refer you to a specialist who has advanced expertise in areas such as internal medicine or surgery. For after hours emergency care please contact the Animal Emergency Clinic at (402) 339-6232.